Organizing your home remodel project can seem like an impossible task. There are So. Many. Moving. Parts. Today, I’m sharing three tools that have saved the day when it comes to managing our remodeling and redesign projects. We officially kicked off the master project last November, and anticipate completing our projects in late 2016. One benefit of tackling this beast of a project is that it provides a ton of fodder for upcoming blog posts! I’ve already shared all the fun I had with wallpaper removal, and how I harness the power of spray paint for redesign. There’s also the series of room reveal posts that you can check out to see how far we’ve come in this behemoth undertaking. Now it’s time to talk home remodel project organization. As you can imagine, there are lots of moving pieces/parts to keep track of when undertaking such a major home improvement project. For that very reason, it is crucial to have solid organizational systems in place for managing it. Today, I’ll share my arsenal of “Must Have” organizational tools that have allowed me to maintain my sanity thus far during the remodeling process. So simple, yet so effective at keeping all the paper related to our project in one central location. Of course, I picked a binder that matched the new color scheme of our redesign! I used Smead 3-hole punched Poly Translucent Slash File Folders and an old set of tab dividers with an index sheet to organize project-related information into key categories, including: Timeline, Budget, Contractor Business Cards, Paint Samples, Furniture/Fixture Sourcing, Project Bids, Plans/Sketches, and Notes. I created the binder prior to beginning our project. As things progressed, I discovered a new tool for managing the project timeline/budget (see below), so those binder sections are no longer used. Even though I’m a “paper-less” girl at heart, my Hubby is a paper lover. Since we both need access to the remodel information, it just made sense to keep the majority of project information in paper form. Besides, it makes a lot more sense to view paint colors via paper swatches rather than on the computer! I also have a much easier time modifying a design sketch via the old school paper and pencil method. It probably comes as no surprise that Pinterest made the list. 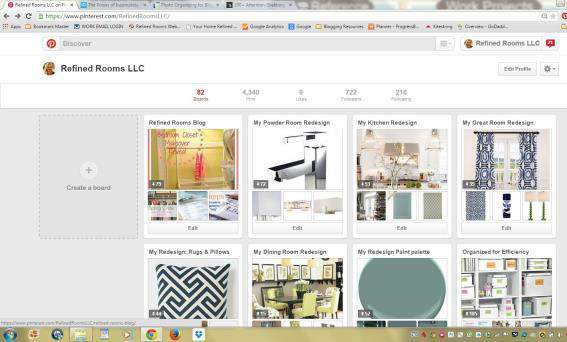 I have been using this awesome tool since its inception to curate ideas/information for both myself and my clients. I’ve created a series of Pinterest boards that serve as a collection hub for my product sourcing options, color palette, and images of “inspiration” spaces. Having all of the information gathered together in a single board helps me to easily communicate my vision for each sub-project with Dear Hubby, as well as with contractors. 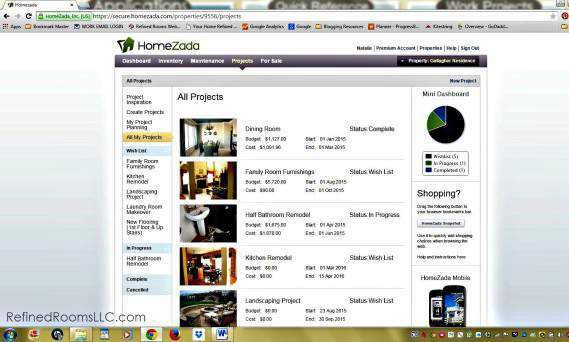 For each project, you can specify a budget and timeline. 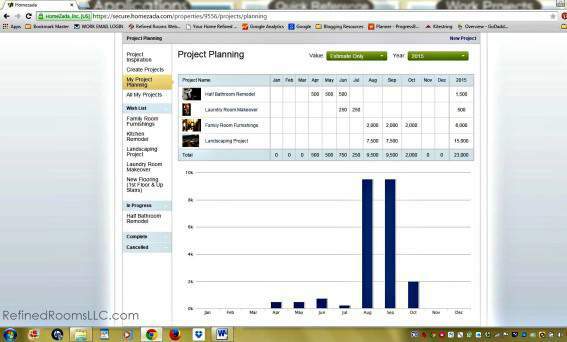 The Project Planning page provides a big picture monthly budget planning tool that lets you know at a glance the funds that are required each month to move forward as planned with your project timeline. Within a particular project, you can calculate your estimated budget by creating a list of project items and a budgeted price for each item. 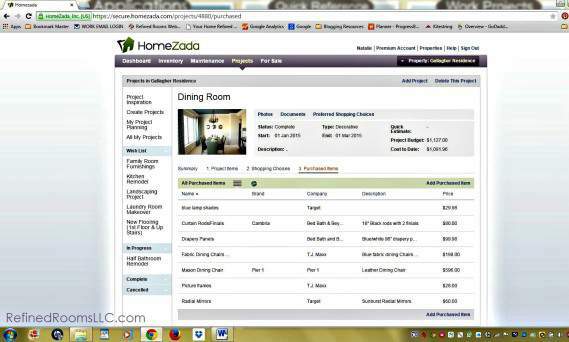 The Shopping Choices option enables you to input a high and low price option for each project item so that you can determine what you can afford given your budget constraints. Although I haven’t use this function yet, I can see how it can be valuable! 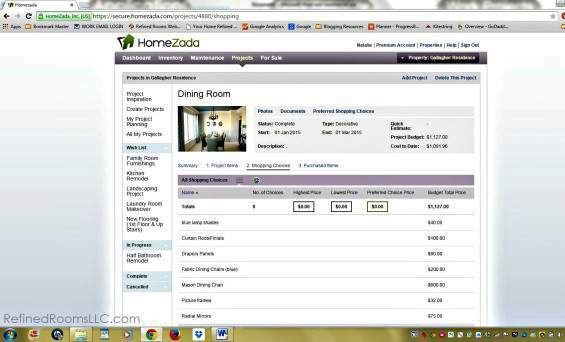 Once you’ve made purchases, you can record the purchased items within your project and HomeZada calculates the project cost to date, which you can then compare to your budget on the project dashboard. 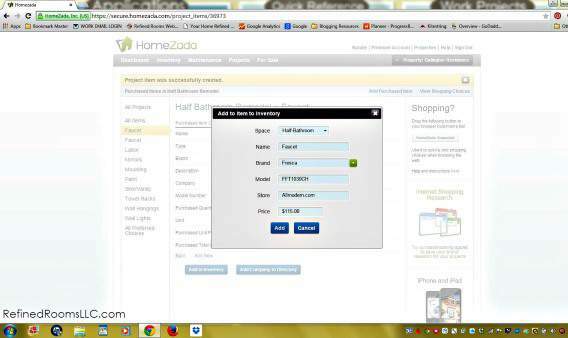 Every time you input a project purchase, HomeZada asks if you would like to add this item to your home inventory. Brilliant! That’s it…now you know the secret to organizing your home remodel my friend! 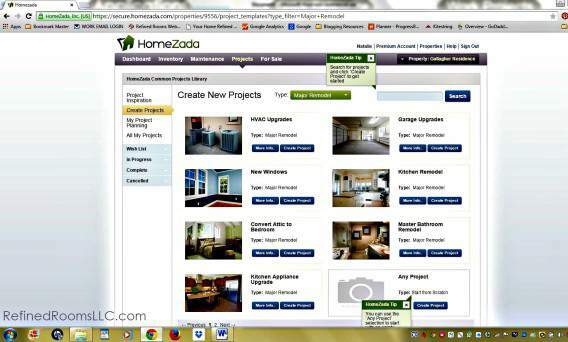 Do you have a home remodeling or decorating project on the horizon? 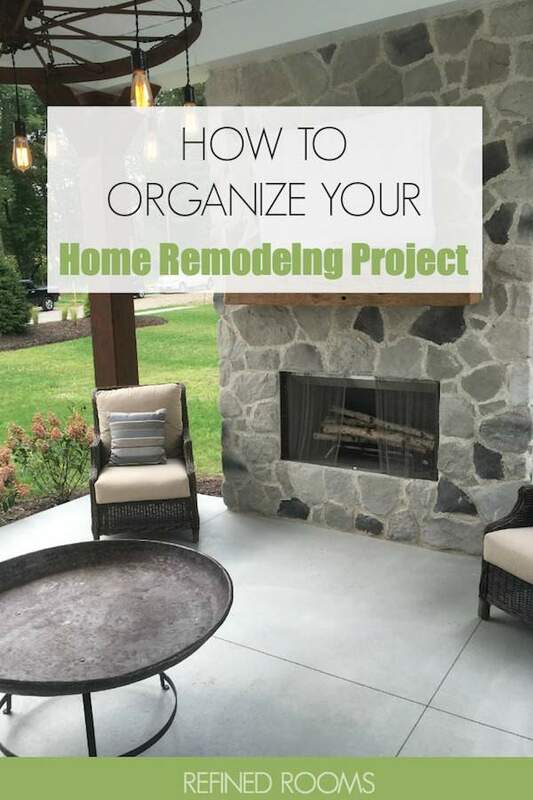 I want to help you with organizing YOUR home remodel, so I’m offering a chance to win this great home improvement project organizational tool! 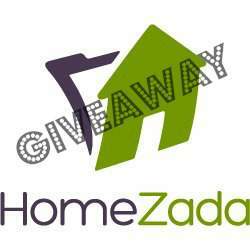 Reader Giveaway: Three (3) lucky Refined Rooms blog readers will each win a 1-year subscription of HomeZada Premium ($59 value)! Just complete the entry form below by 11:59pm ET on 5/8 for your chance to win. Good luck! I’m a DIYer with years of experience and I know how important it is to plan every project you think of but sometimes even when you plan everything, you might do it wrong. 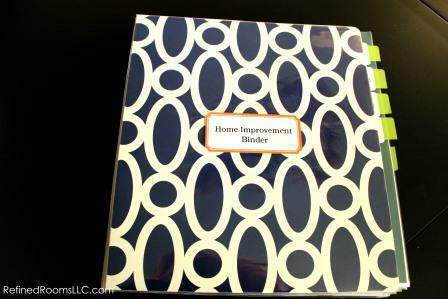 Thank you for the idea of the home improvement binder. I usually just write information on some papers that disappers after a while and the next time I’m planning a project, I need to create everything again. That folder would definintely help, so thanks again! Glad you found the article helpful. And yes, Homezada is a an amazingly useful tool for creating a home inventory. Can’t recommend enough! 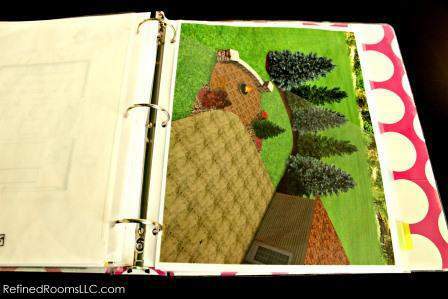 I like the idea of making a project binder to keep all paper related to the remodel in one location. We are planning a bathroom, kitchen, and bedroom remodel this year and need to get organized. 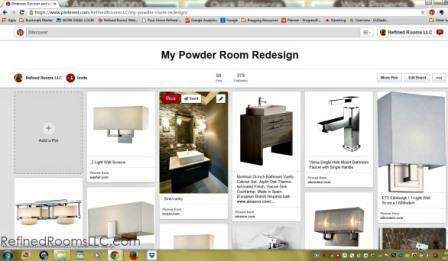 Thanks for the tips on how to organize home remodel projects. Wow, you will have your hands full for sure Sutton, but that’s exciting! Best of luck with all of your projects! 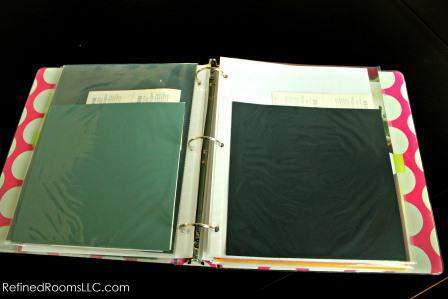 I thought it was wonderful how the binder you used matched the color scheme of your redesign. It’s a cute idea. I found this really helpful since my house could use some remodeling. This seems like a good way to get started. Wow, that wasn’t really intentional, but you are right LOL! Well thanks so much for the compliment Daniella! My husband and I just had our offer accepted on a townhouse. We don’t have any concrete plans yet, but once escrow closes and we actually own it we’re going to be doing everything we have the time & money to do! Congrats on becoming a homeowner Denise! 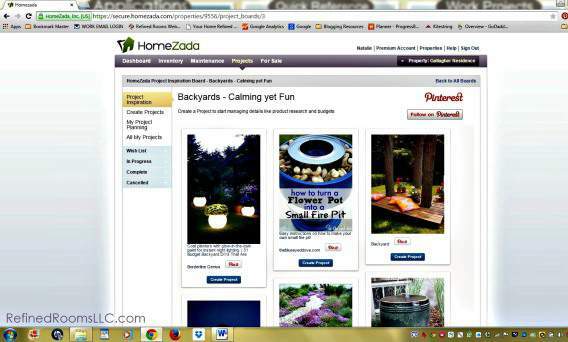 Yes, Homezada will definitely come in handy for you! Best of luck. 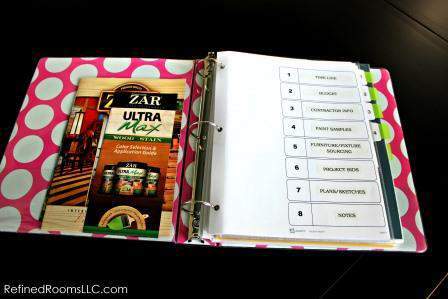 Looks like a great way to keep everything organized! Thanks for stopping by Heather! Have any home improvement projects in your future?